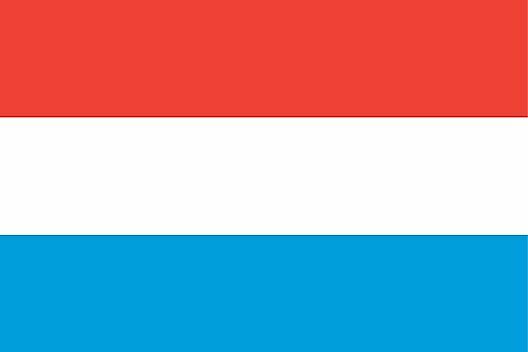 Luxembourg's flag was officially adopted in 1972, although it has been used since 1848. 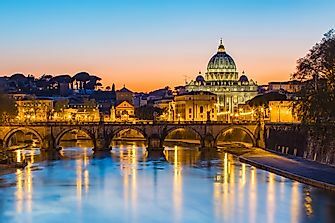 The flag uses a combination of red, white and blue colors that date to the 13th century. 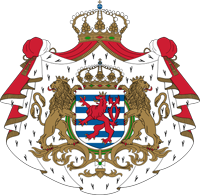 Luxembourg's coat of arms contains two crowned lions supporting a blue and white striped shield, of which depicts a third, red lion rampant. Surrounding the shield and lions is a royal mantling, crowned with a heraldic royal crown.